Romania is a hotspot for IT outsourcing, drawing clients from neighboring European countries and the United States. It offers a substantial workforce, with more than 110,000 people working in the IT sector and affordable prices for high quality. The culture, education system, and commitment to quality making outsourcing in Romania an attractive option. Romania has been a member of the EU since 2007 and has the 12 largest economy in the EU with an economic growth rate in 2017 of 7%. Tech held a 6.2% share of Romania’s GDP in 2017, up 5.5% over 2016. Over the past few years the IT sector has seen a year-over-year growth of between 15-20%, and remains one of the highest paying industries in Romania. Romania has a population of 19.6 million and the best ratio of IT professionals per capita in Eastern Europe. Well known for its Internet speed, it currently ranks 5th in the world with an average download speed of 38.6 Mb. To put this into perspective the US ranks 20th and the UK 35th. Pricing is relatively affordable, offering lower average pricing than neighboring Poland, but slightly higher rates than Ukrainian development teams. Romania is on EET (Eastern European Time Zone) at GMT+2. From this point of view it’s highly accessible for all other European countries regarding overlap during the working day. For augmented teams or outsourcing there are no issues on collaboration. For US companies there is a 7 hour time zone difference from the East Coast which allows for a few hours of overlap in the afternoon. There is a 10-hour difference to the West Coast, which gives two windows for overlap time, either in the morning or in the evening. There are several stereotypes and misconceptions about Romanian culture.The reality is that although the Romanian culture is founded on traditions and folklore, with a backdrop of amazing rural landscapes, it’s a modern country with a metropolitan civilization. The fall of the communist regime opened the gates for western values and culture, particularly in entertainment. These creates a sense of familiarity between people in Romania and folks from countries in the western world, making outsourcing in Romania a comfortable experience for western clients. ● Bucharest Henri Coandă International Airport. Travel to Romania from most European capitals is quite easy as there are several airlines that cover these route: Lufthansa, Air France, British Airways, Turkish Airlines, Swiss International Air Lines and low cost airlines like WizzAir or RyanAir. As a member of the EU, there are no Visa requirements for fellow member countries. Travel from the US requires a stopover in another major European city. US citizens do not require a VISA for up to 90 days. Besides being an IT hub country, Romania also has an entrepreneurial spirit. There are 353 startups, 12 accelerators and 52 startup related events a year. 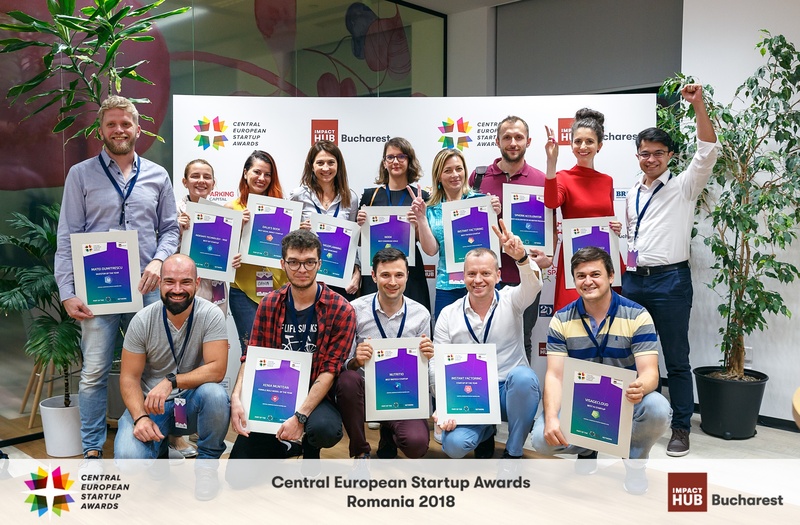 At the 2018 Central European Startup Awards, Romania won Best Fintech Startup for the company Instant Factoring. Romania also won Founder of the Year for Mondly, a language app available in 190 countries. There are two types of startups in Romania. The first are native startups, founded by Romanian entrepreneurs. The second is foreign startups, where founders start companies in Romania to take advantage of high quality talent at relatively low costs. It’s not just about saving money for these foreign startups either. It’s about getting enough done in a limited timeframe to be able to launch a product and get to market faster. The educational system in Romania encompasses several technical universities that produce about 8500 IT graduates a year. On top of the actual graduates there are also a couple of other things to consider. Most IT companies have yearly internships that usually end with several hires. This leads to many students delayed their graduation from school. So, even though they are actually working in IT they don’t yet have a technical degree and don’t add up to the statistics. A second thing to consider is that the IT sector is a very attractive industry in Romania. Due to higher than average salaries, there are a lot of people that convert professionally to the IT sector. This typically happens through internships, courses, informal schools or by self-teaching, in programming, testing, business analysis or other areas. IT companies respond to the ever growing needs for skilled workers by supporting these endeavors and offering various learning opportunities. Bucharest is the largest IT hub and also the city with the most universities and graduates in field. The cities of Cluj-Napoca, Timisoara and Iasi also offer great technology infrastructures. In fact, Cluj-Napoca has seen almost a 300% growth in startups from 2011 to 2016. There are other smaller outsourcing hubs dealing with IT or BPO in cities like Sibiu, Targu Mures, Brasov or Constanta. Overall there are more than 20,000 tech companies in the country, making Outsourcing in Romania an attractive option. Outsourcing in Romania typically follows one of three business models. The overall mentality is not to passively follow client directions, but more focused on collaboration and business value. Team focus less on just delivering lines of code and more on product building, scalability, planning ahead and offering results. Augmentation – Working together with the client’s team. The system is quite simple. There is a team supplied by the outsourcing company that is dedicated to that client. This requires a good level of collaboration and some time zone overlap. Independent – The outsourcing company works on the project independently. The client is kept up to date regarding progress and can act as project manager or not. This engagement model offers the most freedom to the outsourcing company. Hybrid – A mixture of the two, suitable for larger projects. Parts of the project can be done independently by the outsourcing company while others require collaboration through team augmentation. For enterprise level companies this model works well, as there are usually more projects, more work in play. Another thing that’s worth mentioning is that most companies offer services beyond IT services. Business analysis, UX, design, product design are services offered for a better business value, complementary with the technicality that software development processes require. Outsourcing in Romania does not offer the cheapest rates around. It’s definitely cheaper than in the United States and most European countries, but the average skill let in Romania commands mid-tier rates. Depending on position, skill, contract size and length, they vary from $25 to $50 an hour. A senior developer goes for $30 to $50 an hour, and an architect can cost $65 or more per hour. Mid-level manual testers charge about $30 to $35, while automated testers can be as expensive as developers. Project managers, business analysts and graphic designers typically have rates between $35 to $45 an hour. Time and material is the most popular payment model, because of its flexibility. Although it’s usually calculated based on an hourly rate, everybody works full time, as dedicated employees of the client. Outsourcing in Romania makes sense for any type of company. From startups to growth-stage companies, and large enterprises, the skill level is mature enough to provide quality IT services and build great software products for any industry or tech stack. You can find companies that cover web, desktop, mobile, even AI, big data or even blockchain. This is not a place that offers just bodies on chairs, but professionals with enough knowledge and technical acumen to be able to challenge the traditional outsourcing perspective. Prices are on par with the types of services offered and the culture compatibility that goes with the territory. Overall, it’s a great location for companies interested in building products in a collaborative fashion. Most companies welcome on-site visits to set the foundation for a good working relationship, so consider taking the time to visit Romania and see first hand what it has to offer. Samuel Andras is an IT Outsourcing Consultant at Evozon, a software company based in Romania. He is passionate about creating content related to important issues in the IT industry and building relationships with people interested in similar topics.